A fascinating development today: advocacy group Invisible Children just released an update to its KONY 2012 viral video. The new film, “Move” calls on supporters to march on Washington D.C. on November 17th to lobby politicians to keep searching for the Ugandan warlord, Joseph Kony. Frankly, it’s a courageous move by a group whose remarkable campaign crashed spectacularly weeks after its launch. It’s also essential to the organization’s survival, given how much it needs to rebuild its credibility. Since the KONY 2012 phenomenon began in March 2012, I’ve called it “required viewing” for anyone interested in online storytelling. Positives: It’s a 30-minute “commercial” that over a hundred million people watched — on a subject most people would never normally care about. How did they do it? Terrific storytelling structure, great production values, powerful networking strategies. 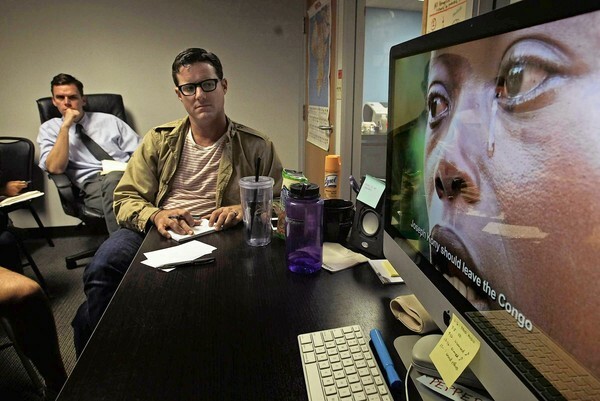 If the original KONY 2012 film intended to “make Joseph Kony” famous, this one is an attempt to provide the behind-the-scenes authenticity that the first one lacked. It’s also a clever attempt to own up to the early mistakes and criticism, and catapult off of its notoriety to re-invigorate the campaign (it’s been already featured on the Today Show and in the LA Times today). It begs the question: when it comes to effective, persuasive communication in this networked age, is it more important to get “famous” and go viral, — garnering as much attention as possible or does authenticity in storytelling matter more than ever as way to inspire others? “Fame” seems to be a powerful currency among the Millennials, and yet it was also fame that was the undoing of the organization, and its highly visible filmmaker. Watch the new film below. One part that doesn’t quite ring true was that Invisible Children merely pressed a button, uploading the original KONY 2012 film, and it went viral, just like that. This article highlights that they were far more strategic; that the organization employed clever networking techniques to get its strongest supporters, as well as celebrities, to amplify attention. postscript: it may be early, but I note that despite the mainstream media coverage, the YouTube count on Move is less than 20,000 views.